Hi guys! What's up? It's a new week, do you have any special plans? If you guessed Hayley Williams you were totally right. I've already told you how much I admire Hayley Williams, her style and the fact that she doesn't give a crap about what people think about it, so I'll just tell you about the manicure. Hope that's alright with you! Otherwise you can just use the search function and type in "Hayley Williams" and I'm sure you'll have plenty to read. So, I used three base polishes fot this manicure. The black is Liquid Leather from China Glaze, the red is London from Mavala and the grey is from Nordic Cap. I'm still researching if Nordic Cap is cruelty free or not, but I do know that they're made in China, so keep that in mind. Then I stamped a pattern using plate QA98 from Born Pretty Store and China Glaze Holly-Day. I used a striping brush and OPI Don't touch my tutu! to make the light parts. I used a striping brush and Liquid Leather to make the black parts on the grey nails. Finally I put on some studs and top coat. On the thumb I also made a silver stripe between the red and the black parts. 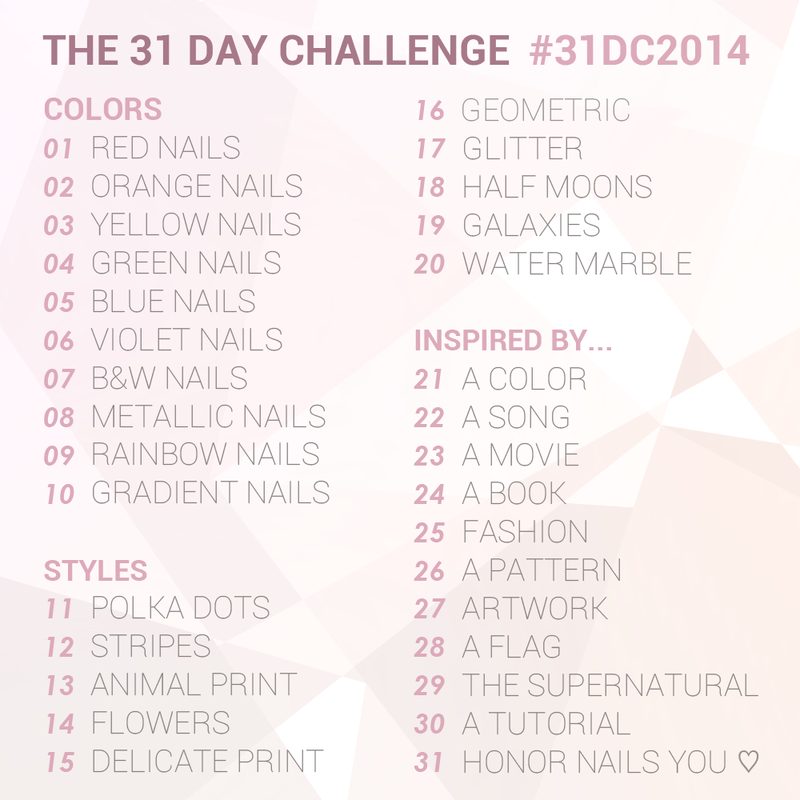 Check out day 25 from last years challenge, click click! Haha, didn't need to guess twice ;) Love It!